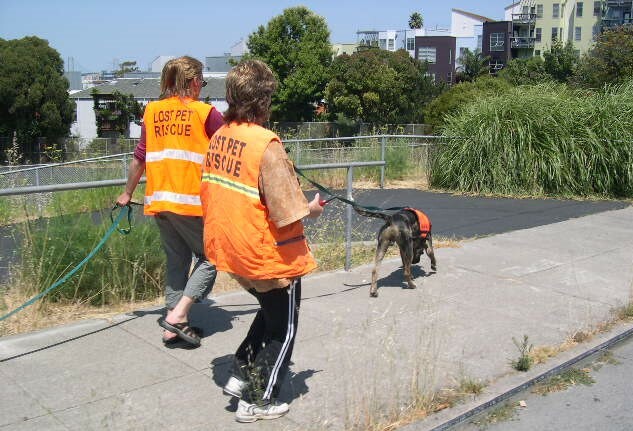 Kat offers on-line / interactive group instruction for anyone interested in training a dog to either detect lost cats or to track (trail) the scent trail of lost dogs. Although it is highly recommended that you take the 10-week Pet Detective MAR Field Course prior to taking any of the MAR Dog Training Courses, it is not mandatory. You may register for information about the next class here. It is recommended that you select just one discipline to train your dog in—either as a MAR Cat Detection Dog or as a MAR Trailing Dog. To watch a MAR Trailing Dog at work, watch this Dogs with Jobs video of a Kat Albrecht working her bloodhound A.J. to track a lost dog named Bubba and this training video of Kat working her bloodhound Zeke to track the scent of another dog. To watch a MAR Cat Detection Dog at work, watch the Evening Magazine video of a Cat Detection Dog training event and the Pets Part of the Family video of Kat Albrecht working Cat Detection Dog Rachel on a search for a lost cat named Manuel. On average, it takes approximately 4 months to train a MAR Cat Detection Dog and 12 to 18 months to train a MAR Trailing Dog. Our MAR Trailing Dog Course is broken into 10-week courses and the training program lasts approximately one year. All dogs that enter the MAR Search K9 Training program must have no fear issues, no aggression issues (towards humans, other dogs, or cats), and must exhibit a high level of interest / excitement towards other dogs (MAR Trailing work) or for cats (for MAR Cat Detection work). . Students will be required to demonstrate (through videos or a designated evaluation) that their dogs meet these requirements. Prerequisite: Read (or listen to) the books Pet Tracker: The Amazing Story of Rachel the K9 Pet Detective and the book Dog Detectives: Train Your Dog to Find Lost Pets. 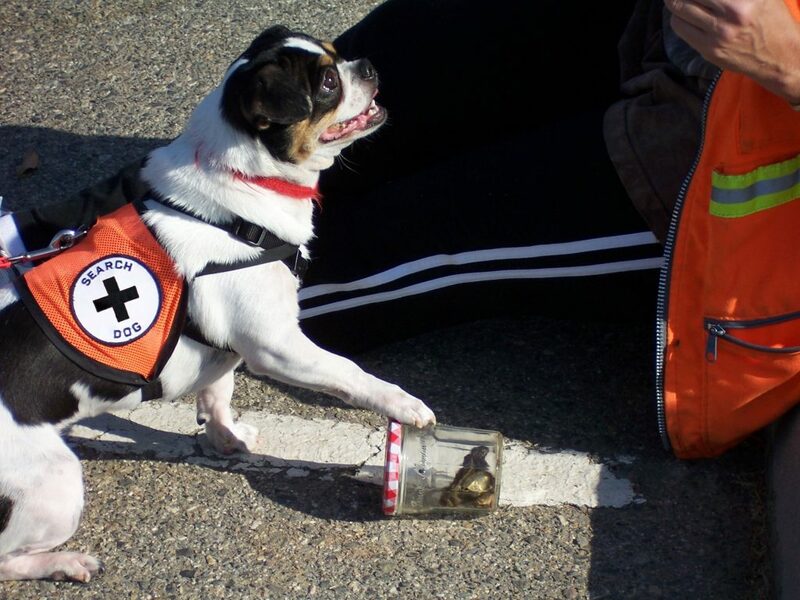 The 10-week MAR Trailing Dog Course course helps you work through the basic steps of training a dog to both scent discriminate and trail the scent of lost dogs (and eventually other species). Topics covered include the selection of a MAR trailing dog candidate, the selection and use of “target dogs,” beginning command / cues (“take scent,” “search!” and “which way?”) as well as teaching your dog “puppy runaway games” and how to transition to your dog no longer seeing the target dog, puppy runaway games, beginner trails, intermediate trailing, advanced exercises, scent discrimination exercises, aging trails, negative trails, and decomposition training. Instructor(s) will work with students to determine what level of training the student is at and will provide 10-weeks of instruction with the goal of advancing towards mission ready status, a process that could take 18 months. Students will commit to sending a minimum of 2 training videos per week to instructor for evaluation. Students also commit to meeting (in an online group setting) with the instructor once a week for an interactive review (20 minutes per student) of the progress and/or problems they are encountering in their training. 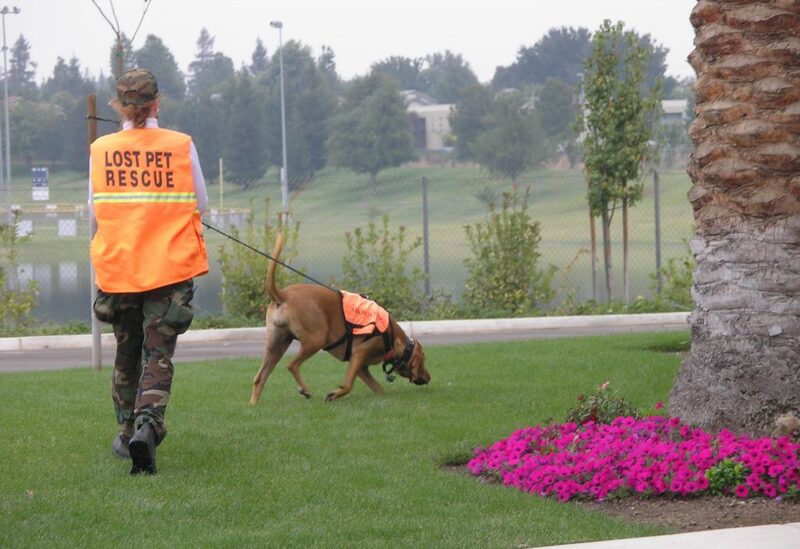 MARN Director Kat Albrecht demonstrates MAR Trailing Dog Training as she runs behind her K9 Pet Detective Bloodhound, Zeke, as he tracks the scent trail of “target dog” Loki. 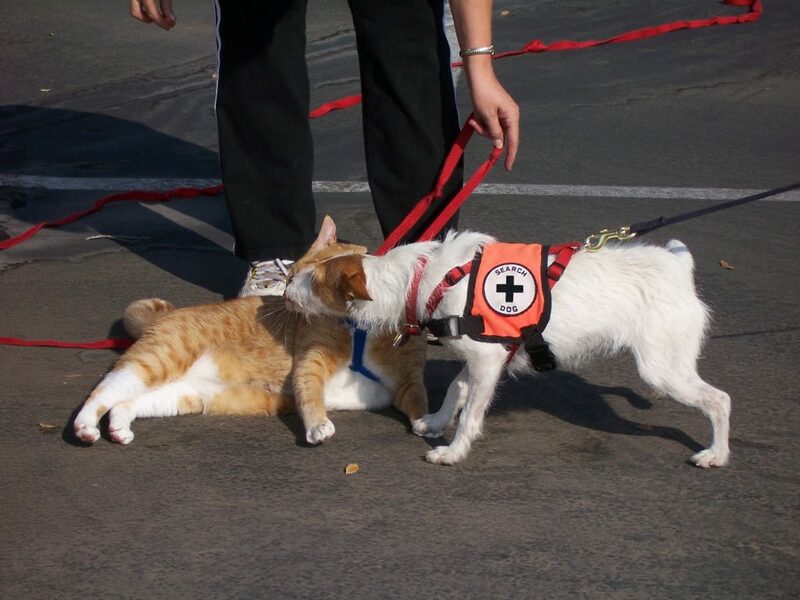 This 10-week MAR Cat Detection course helps you work through the basic to advanced steps of training a dog to detect the scent (live and deceased) of lost cats. Topics covered include beginning command / cues (“check this,” “search!” “kitty,” “where?” and “push”), imprinting your dog on live cat scent, complicated cat searches, finding cats in trees, extending search times, varying search locations, cat decomposition imprinting and training, and preparing for certification testing. Students will commit to sending a minimum of 2 training videos per week to instructor for evaluation. Students also commit to meeting (in an online group setting) with the instructor once a week for an interactive review (20 minutes per student) of the progress and/or problems they are encountering in their training. The cost for each 10-week MAR K9 course is $750.00. Each 10-week MAR K9 self-paced training class is $800.00. If you are unable to make a complete payment, a payment plan is possible. Although it is not mandatory, it is recommended that MAR Cat Detection Dogs work through at least two 10-week MAR Cat Detection Courses (20 weeks) and that MAR Trailing Dogs work through a minimum of six 10-week MAR Trailing Dog Courses (60 weeks – just over one year). At any time during the course, students may chose to not enroll in an additional level of training, however, there will be no refunds.